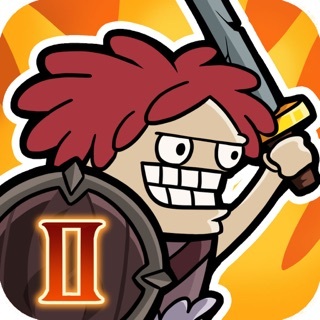 Clumsy Knight 2 plays very much like HoMM. It's simpler and still enjoyable. Those familiar with the series of games HoMM, will see the obvious parallels in Clumsy Knight 2. There is a huge world before player, castles, islands, immense sea, all kinds of buildings and complete freedom of action. • Delicate 2d characters, such as vampires, elves, dwarves, archers, peasants with pikes, dragons, golems, etc. I bought this liking the idea of a simplified HOMM but this one needs work. You cannot complete quests. The whole screen just kinda stays stuck until you close the game. © Big Wood Games Lmt.